The new Moto G comes with a high-grade aluminum exterior that’s been diamond cut and finished to perfection. Bring your photos, videos, and games to life. Moto G gives you a 5.0" Full HD display, delivering the vivid colours and fine details you’ve come to expect only from premium phones. Go ahead, be proud of your photos. Phase Detection Autofocus enables fast focusing for sharper pictures. And it comes standard on the Moto G's 13 MP camera. 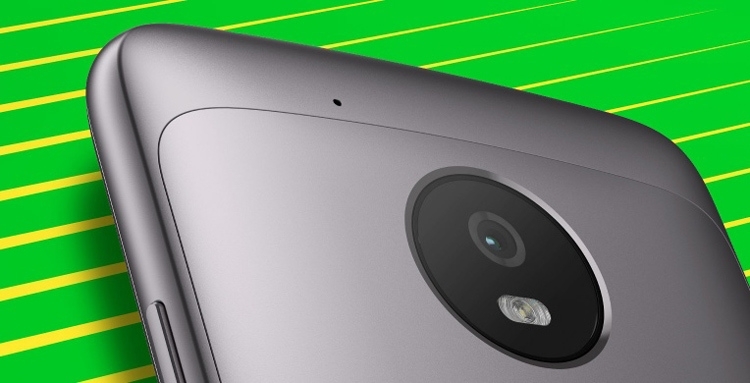 Switch to the front camera, and there’s a 5 MP wide-angle lens that won’t leave anyone out of your group selfies. And improve your selfies with Beautification Mode's manual or automatic settings. Whether you’re a weekend photographer or a seasoned pro, Moto G includes camera software like Best Shot and Professional Mode that makes taking great pictures easier than ever. Plus, give any photo a personal touch with the Google Photos™ app. With a fast 1.4 GHz octa-core processor, powerful graphics capabilities, and support for 4G LTE, the Moto G lets you play video, games, and music on the go.‡ Apps and video run smoothly without slowing down. And browse the Web or stream music at lightning-fast speed. Never let spills, splashes, or a little rain get in your way. Moto G uses a water-repellent coating to protect your phone inside and out. Shortcuts, brought to you by Moto. Instantly unlock your phone with your fingerprint. Or, read notifications without having to unlock your phone. Plus, quick gestures get you to the features you use most. Don't worry about remembering your passcode. Just use the fingerprint reader to unlock your phone and wake it instantly. Touch the reader again to lock it back up. Stay in the loop without jumping through hoops. Moto Display shows a quick preview of notifications and updates, so you can see what's going on without unlocking your phone. Just give it a nudge to see what's new, then go right to that app to handle it now—or leave it for later. With Moto Actions, your simple gestures make everyday interactions more convenient. Whether it's a twist of your wrist to open the camera, or chopping down twice to turn on the flashlight, you can use your favorite features without touching a button. With an all-day 2800 mAh battery, go from morning to night without plugging in.